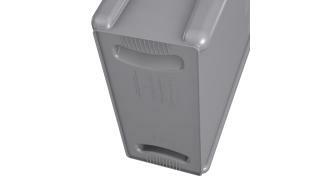 Venting channels make removing liners from the container up to 80% easier, improving productivity and reducing the risk of worker injury. 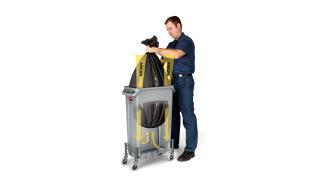 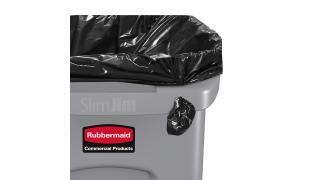 4 bag cinches secure liners around the rim of the container and create quick, knot-free liner changes. 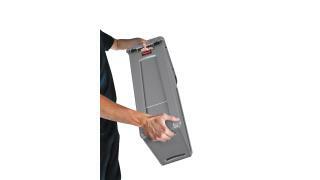 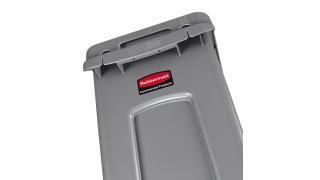 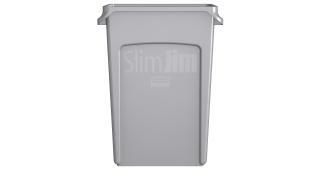 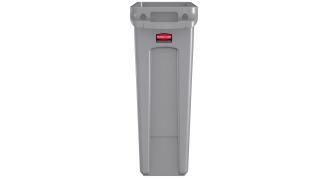 The Rubbermaid Commercial Vented Slim Jim® Container is crafted to make waste management compliance easier and reduce strain on workers. 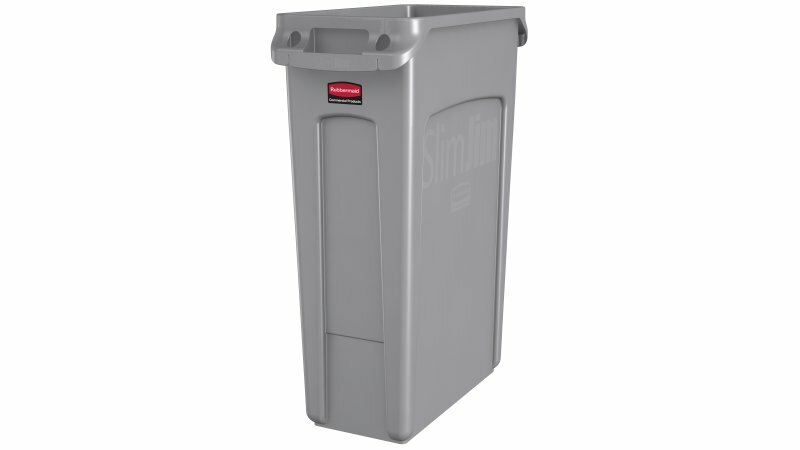 Constructed of high quality, commercial-grade materials, these containers feature 4 venting channels that make removing garbage bags up to 80% easier than traditional straight wall receptacles.